PoolSan is the only genuine chlorine-free range of swimming pool treatments for domestic and commercial swimming pools. Our proven liquid formula combines together the natural mineral ions of copper, zinc, gold, aluminium and silver to bring you the future of swimming pool treatments. This revolutionary alternative eliminates the need for traditional chlorine treatments in pool and spa water – leaving you with sparkling, clear, soft, odourless water that does not irritate skin or eyes or bleach your hair! PoolSan’s unique liquid is simple to use and is designed to make the switch from chlorine treatments easy. It even works up to 3 times longer than traditional treatments to guard your pool or spa water against algae and bacteria, while its non-corrosive minerals ensures your pipes and pumps remain free of scale build-up! And even if you currently use traditional chlorine-based swimming pool supplies, it’s easy to switch! Thanks to PoolSan you can create a much safer and more enjoyable swimming environment for friends, family and guests! 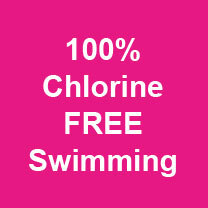 It guarantees a completely new swimming experience that will ensure you never want to use chlorine treatments again! 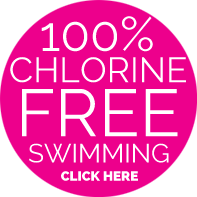 Jump in to discover 100% chlorine-free swimming!